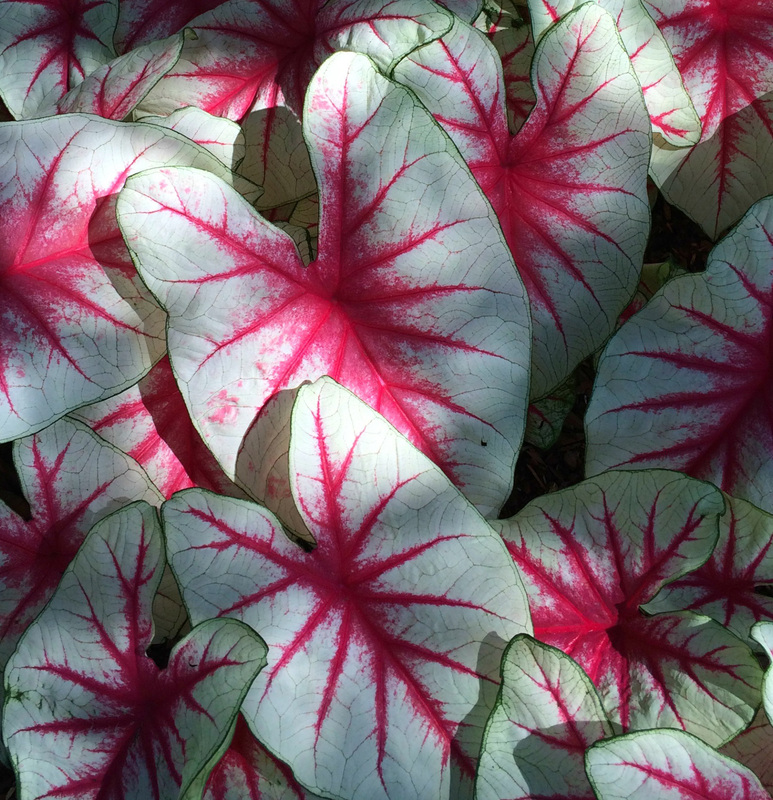 Caladium Fiesta (Fancy Leaf) - Brad's Bedding Plants, Inc. Fancy leaf caladiums tend to be taller and have large heart shape leaves. Grow 12-20” tall.